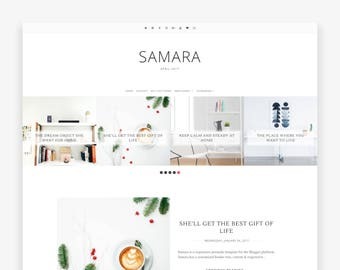 Ciara is a feminine, minimalist and responsive Premade Blogger Template accented in soft color tune for blogger platform (blogger.com). It's loaded with awesome features. 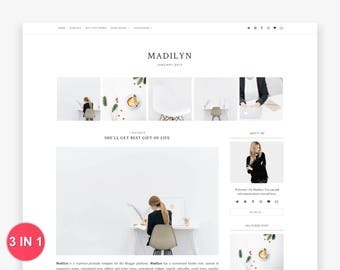 Using the Blogger Template Designer, you can change nearly every font, color and even position of each element with this blogger theme. 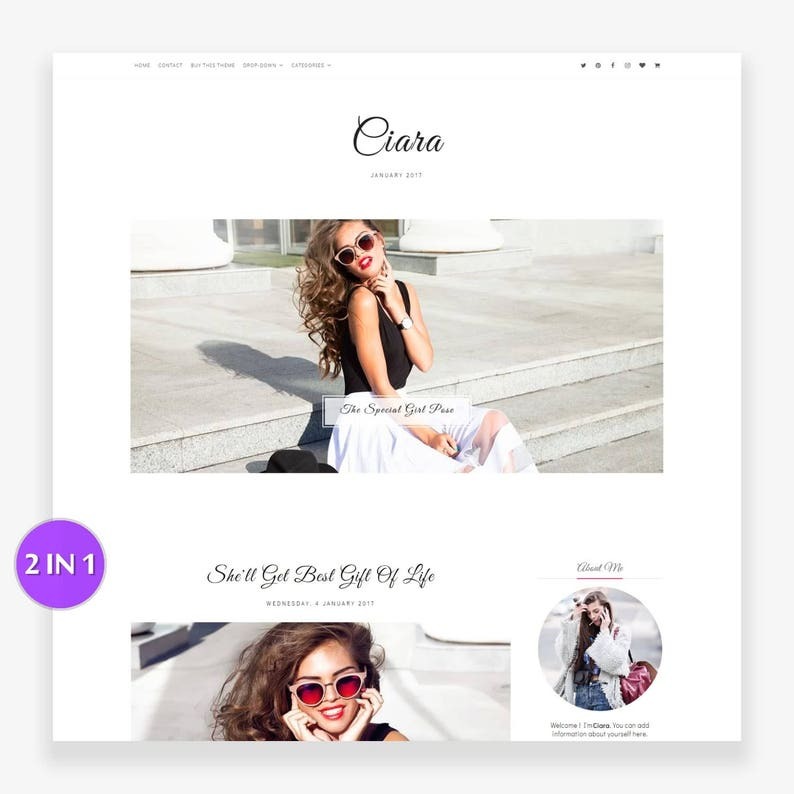 Ciara is fully responsive on all devices and Will look great on any fashion, beauty, travel, lifestyle, blog, etc. + it is very easy to use! Ciara's post and sidebar areas are 800px and 250px wide respectively. 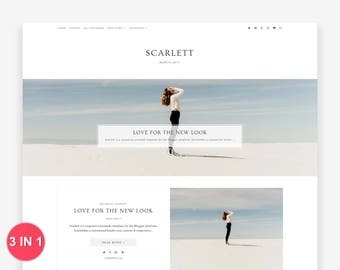 You can change the width of post and sidebar areas with Blogger Template Designer. 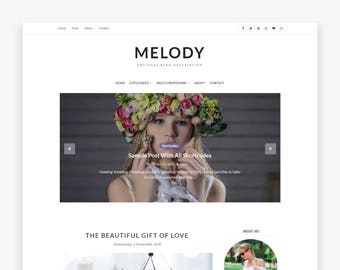 Design with Love, Premium quality Slider for Blogger Template with the option to two display recent or random posts. It displays the featured pictures in a unique way that catches the reader's attention. You can also show Recent Post and Random Post with this slider. Ciara lets you to easily create multi-level drop-down menus with links and provides the best way for user navigation by organizing your long menu in a good and the sophisticated manner that your readers will love. - Custom Post layout on Homepage - First Image & Post Title, Date (+Labels), a short snippet of text and read more button. The Ciara template is very flexible and has a clean appeal. I only however gave this review 2 stars because of the poor communication with the seller. 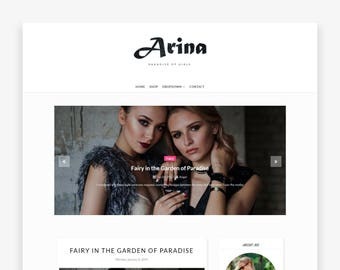 I originally selected the template for it's looks, but also for the offer of free installation assistance because I am unfamiliar with HTML formatting. It has now been 9 days, and I only received 1 generic email from the sender asking me what I wanted to include (images, add-ons, etc), which I did provide. When she did make changes to my blog, I found out by randomly checking my blog one day, because she never followed up with a notification email. The changes that she made we're partial, and she has never responded to my follow up inquires. Unfortunately, I cant recommend this service because it is very unprofessional to offer assistance and then ignore the customer. Beautiful and easy! Robin was so nice and helpful! Will certainly purchase again!! 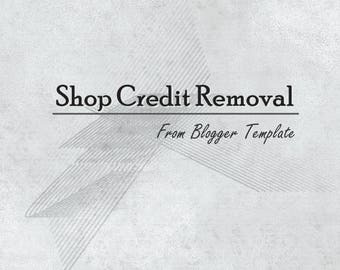 I absolutely adore this template it looks amazing on my page and was so easy to install. I know my readers are going to love it as much as I do! Thank you so much!! I recently perchased Ciara template and i simply love it! It's easy to customize, elegant, and it's been an inspiration fot my future posts! Thank you Syncboost!